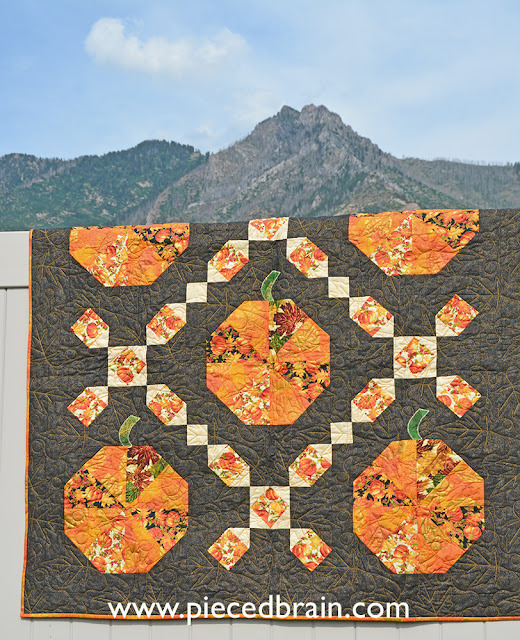 "Pumpkin on my Patch" is the second of my designs published in the Autumn 2017 issue of Quilter's World magazine. 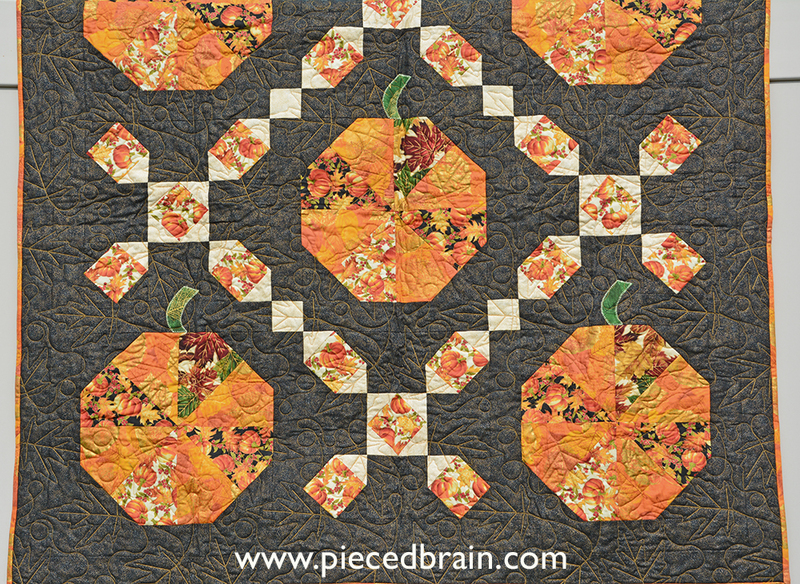 This time I used bright, shiny, warm Fall fabrics from the Falling for You screenprint collection by Hoffman Fabrics. Its prints are ideal for October/November holidays so you can keep this table topper on your table for many weeks. It measures 48" x 48" and uses 2 blocks. The stem was machine appliqued using blanket stitch. Melissa from Sew Shabby Quilting did a fantastic job quilting it with fall leaves, berries, and orange thread. 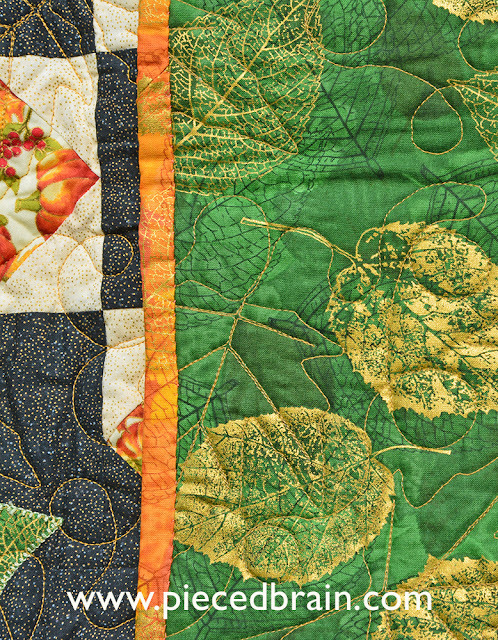 The vibrant colors of the quilt top are complemented by the rich green/gold of the backing. Yes, perfect for Halloween and Thanksgiving! You can find Quilter's World magazine on the web, quilt stores, bookstores, and supermarkets (in Utah, they are sold at Barnes & Noble, Jo-Ann stores, and supermarkets). 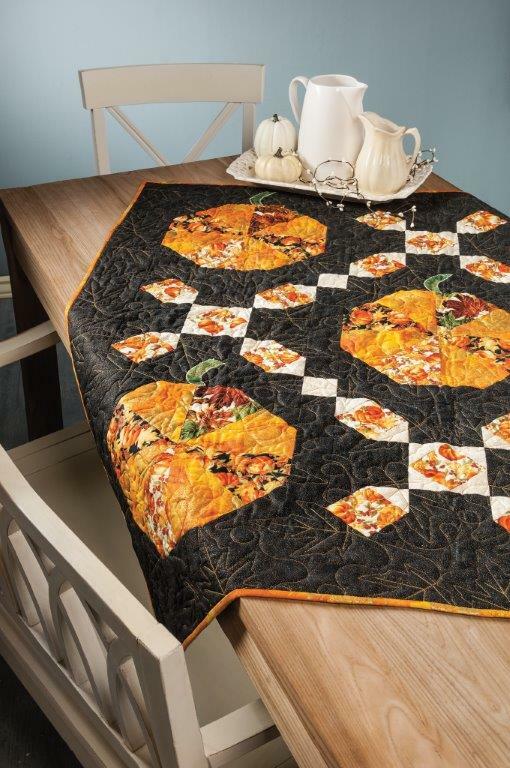 Yep, I am all set for Fall with this table topper and the Autumn Trails quilt I showed you on my previous post. 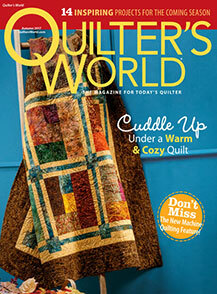 This issue of Quilter's World has 14 beautiful projects. Enjoy! 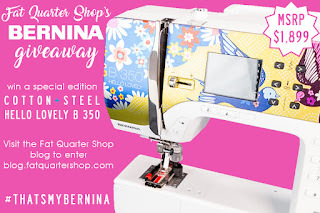 Check out their blog to enter it - I am heading over there right now! I have been sewing with my Bernina for 12 years and love it. This is your chance to get your own. Very nice - love the autumn colours and while I don't celebrate those two big days I can appreciate the loveliness of it.